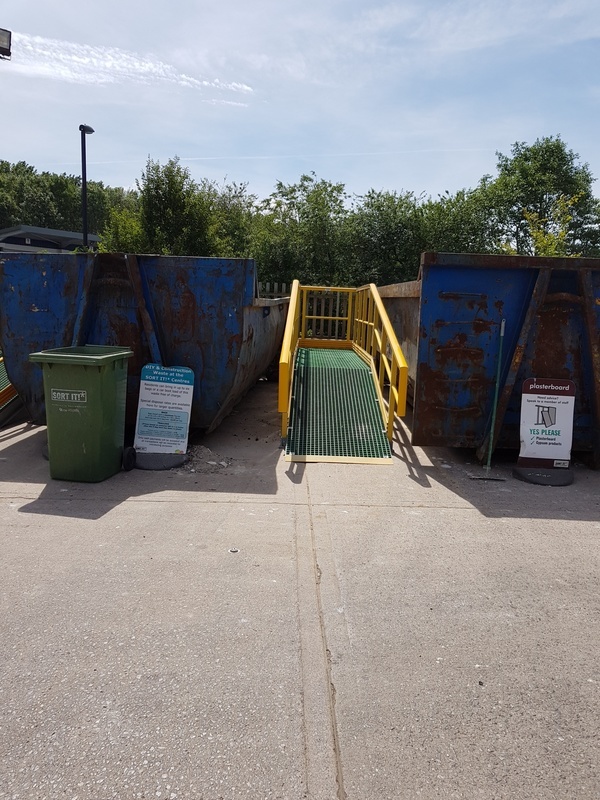 Find our mobile bin access steps at recycling centres throughout the UK. 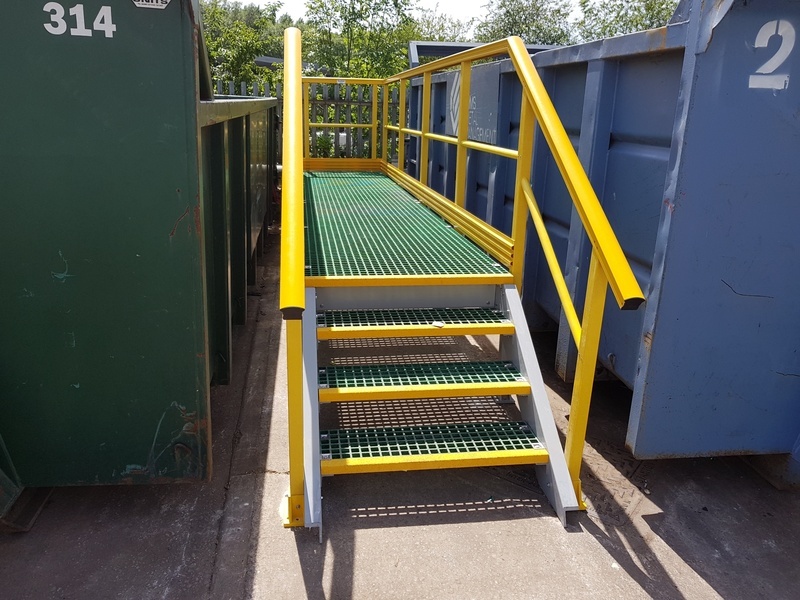 Our durable, corrosion-resistant anti-slip safety solutions are ideally suited to hazardous waste management environments. 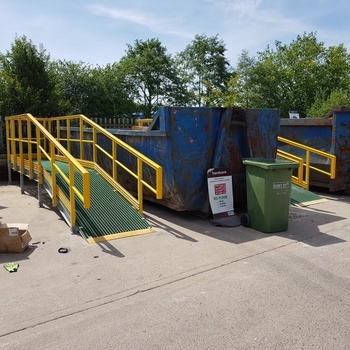 Our in-house team of designers and fabricators have developed a range of mobile bin access steps, which you can now find at recycling centres throughout the UK. 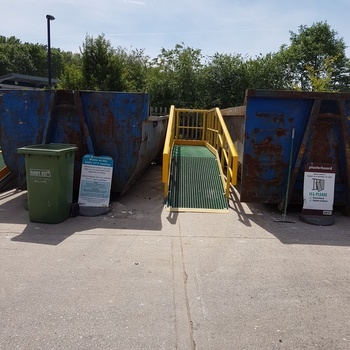 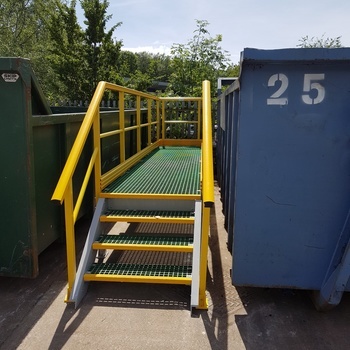 Working with the recycling and waste management sectors since 2010, we have also designed and installed a range of additional GRP solutions, including walkways, access platforms and stairs, ramps and DDA-compliant replacement tread covers. 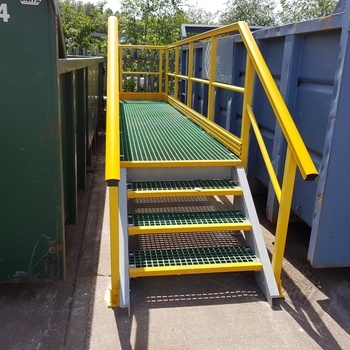 All our anti-slip safety solutions are easy to install and low maintenance. 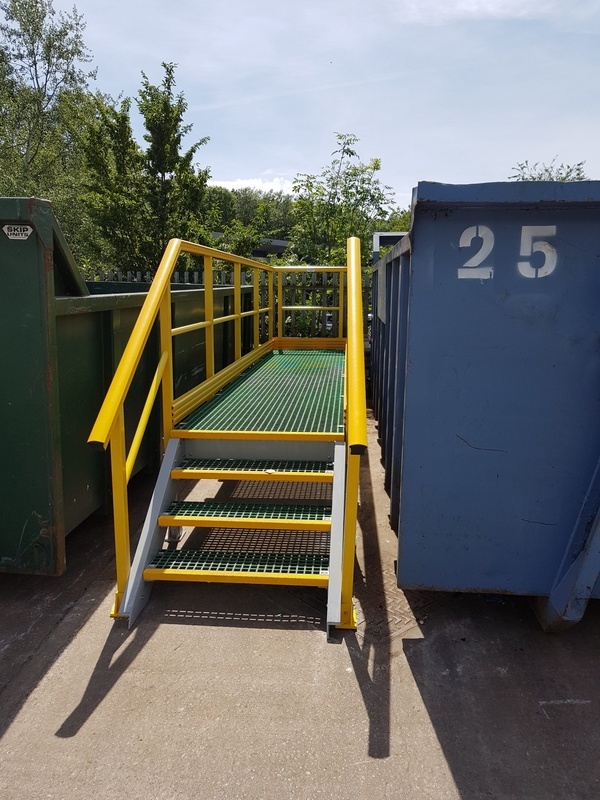 They are both lightweight and durable. 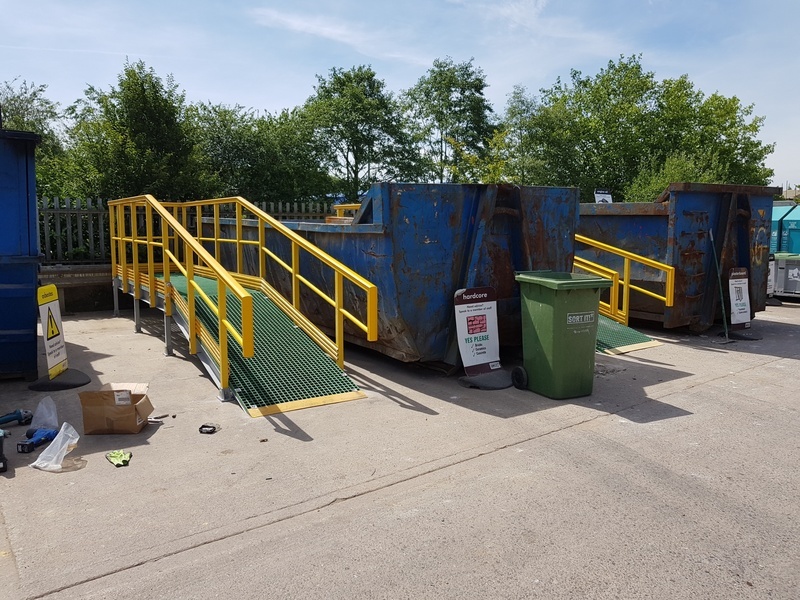 Explore our range and contact us to find out more.